This antibody is expected to cross-react with mouse as the sequence of the human immunogen shows 76% identity with mouse. Synthetic peptide corresponding to Human Dnmt3L aa 152-164 conjugated to keyhole limpet haemocyanin. 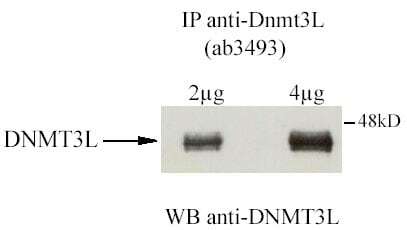 DNMT 3L is a nuclear protein which has similarity to DNA methyltransferases, involved in de novo methylation of CpG islands. CpG methylation is an epigenetic modification that is important for embryonic development, imprinting, and X-chromosome inactivation. Studies in mice have demonstrated that DNA methylation is required for mammalian development. This gene encodes a nuclear protein with similarity to DNA methyltransferases. This protein is not thought to function as a DNA methyltransferase as it does not contain the amino acid residues necessary for methyltransferase activity. However, this protein does stimulate de novo methylation by DNA cytosine methyltransferase 3 alpha and it is thought to be required for the establishment of maternal genomic imprints. This protein also mediates transcriptional repression through interaction with histone deacetylase 1. This is an affinity purified antibody produced by immunoaffinity chromatography using the immunizing peptide after immobilization to a solid phase. This antibody is expected to cross-react with mouse as the sequence of the human immunogen shows 76% identity with mouse. Reactivity with DNMT3L from other species has not yet been tested. Our Abpromise guarantee covers the use of ab3493 in the following tested applications. ELISA 1/1000 - 1/3000. 1/1000 - 1/3000 against 0.1µg of the immunizing peptide. WB Use a concentration of 0.4 µg/ml. Predicted molecular weight: 43.6 kDa. Use at an assay dependent dilution. The target may need to be immunoprecipitated to identify the target in WB. Predicted molecular weight: 43.6 kDa. Expressed at low levels in several tissues including testis, ovary, and thymus. Contains 1 ADD-type zinc finger. Transfection of U2OS cells (10cm dish) using 3µg of GAL4-DNMT3L. Protein extraction using IPH 150mM. IP and WB conditions, see Fuks et al. (2000). Nature Genetics 24: 88-91.WB using 0.4µg/ml in TBS milk 2%, BSA 0.5%. Dectection using ECL. Note: ab3493 worked in WB following IP, but did not work in a straight WB. Immunofluorescence analysis of 2-cell mouse embryos, staining Dnmt3L with ab3493. Embryos were fixed with paraformaldehyde, permeabilized with 0.5% Triton X-100 and blocked with 0.5% blocking reagent in TNT (0.1 M, Tris-HCl, pH 7.5, 0.15 M NaCl, 0.05% Tween-20) buffer for 20 min at 4°C. Embryos were incaubted with primary antibody (1/500) for 1 hour at 37°C. 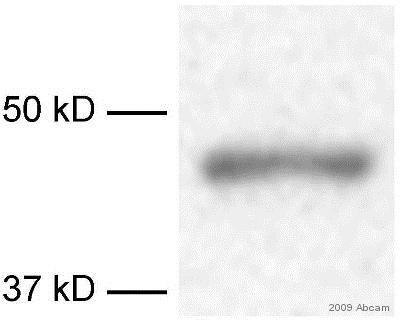 An AlexaFluor®488-conjugated goat anti-rabbit IgG (1/400) was used as the secondary antibody. Publishing research using ab3493? Please let us know so that we can cite the reference in this datasheet. I have a question about the epigenetics antibody https://www.abcam.com/index.html?datasheet=3493&tab=abreviews, anti-DNMT3L. I would like to test DNMT3L levels in mouse by western blot –has this antibody been tested for cross-reactivity to DNMT3A and 3B? I couldn’t find any information about this on your website. 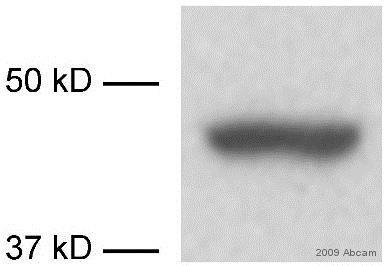 I can confirm that it was not experimentally tested if this antibody shows any cross-reaction with the proteins DNMT3A and/or DNMT3B. After performing a short BLAST search with the antigen, it is very unlikely that the antibody cross-reacts. The BLAST search did not bring up these proteins in any species, but only showed DNMT3L proteins from different species. could you please help her to create a credit note ? I deeply appreciate your great assistance! This is to let you know that I have just contacted and asked our Account Department to raise a credit note for you - for the cost of one vial of ab3493. For your information, the internal reference note for this credit is CN20018. You can use this credit in the near future for any of the products which are in the catalogue. Although the datasheet showed that it did not work in a straight WB. But the datasheet provided a direct Western data as well. YES, the vector contains full sequence of the target protein. The sequence has been check by DNA sequencing. No tag in the vector. We got the Dnmt3L -/- ES cell line that was KO by gene targeting disruption.We did not use siRNA to knockdown the target protein. So we did not have to checking the siRNA sequence. 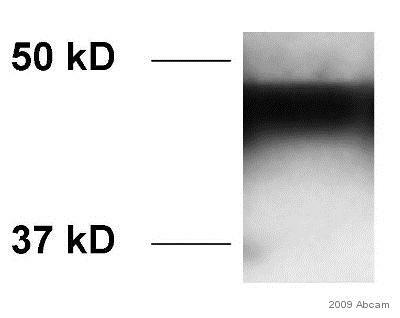 The KO line was well used and published previously and it has been checked by southern blot. We used the same KO line that was published in 2002 (please check the attached file figure 2). We got the KO line from the first author’s lab. I also attached the results in this letter; the image shows he used the other primary antibody from other company to check the sample and it seems get a great result, could you please check it and help this customer to solve the problem. Thank you for your response and for sending some additional information and images. Your co-operation is very much appreciated. I could offer your customer either a new vial as a free of charge replacement vial or a credit note which can be used in future purpose. Please could you discuss with your customer and let me know how to proceed with this case. This customer has purchased ab3493 (Anti-Dnmt3L antibody) and has conducted the WB several times with mouse sample. The results show high background and non-specific signal; therefore this customer wants to ask for your help to modify her experiment step, could you please offer any suggestion to improve her result? Transfer conditions: (Type of membrane, Protein transfer verified): PVDF, transfer 1hr, 250 mA, pre-stain markers and internal control GAPDH were seen. Blocking agent: milk, BSA, serum, what percentage: 6% milk or Millipore BLOK-CH, or 6% BSA, each has been used. Do you know whether the problems you are experiencing come from the secondary? NO, the secondary antibody has been used successfully for other primary antibody. We can see the non-specific bands. 9. Did you apply positive and negative controls along with the samples? Please specify. YES. We used wild type and Dnmt3L knockout ES cells. The target protein expression has been verified by other worked primary antibody and Q-RT-PCR. · How many times have you tried the Western? For 5 times. YES. The non-specific bands were not from the secondary antibody. It’s OK seeing non-specific bands. We cannot see the differences of target band between WT and Dnmt3L KO ES cells. · What steps have you altered? Primary and secondary incubation time. Thank you for your enquiry regardingab3493 and for taking the time to provide some useful details of the experiments. I am very sorry to hear that your customer ishaving problems with this antibody. 1) Immunoprecipitation: As the datasheet indicates, ab3493 worked in WB following IP, but did not work in a straight WB. Please advise your customer to perform an IP firts. 2.1 Does the construct contain full sequence or fragment of the target protein? 2.2 Have you used any tagging which may interact with the recognition of the epitope? 2.3 How have you selected the sequence of siRNA? Have you tried more than one SiRNA sequence? Could you check if the sequence corresponds correctly toDnmt3L protein? 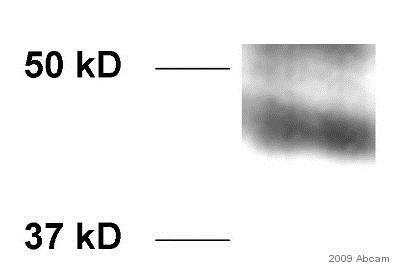 2.4 Have you checked the KO with Southern blot application? Thank you for providing some further information. I appreciate the time you have spent on these experiments in the laboratory and it is disappointing the results have not been successful. This is to let you know that I have just contacted and asked our Account Department to raise a credit note for you - for the cost of one vial of ab3493. For your information, the internal reference note for this credit is CNXXXX. You can use this credit to refund this troubled customer or to order any of the products which are in the catalogue. I hope this experience will not prevent you from purchasing other products from us in the future. Our Scientific Support team is always at your service should you require further expert advice. I hope this helps and if I can assist further, please do not hesitate to contact me.